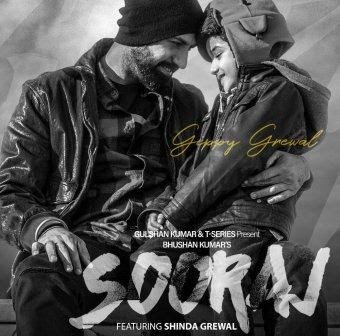 Popular Singer and Actor #GippyGrewal, known for upbeat #Angrezibeat, unveil a slow number titled #Sooraj! The song is composed by B Praak and written by Jaani. The song talks about love and betrayal. The song was released yesterday and within a day the song has garnered a massive 4 Million plus hits on social media. Rupinder Singh Grewal, commonly known as Gippy Grewal, is an actor, singer-songwriter and film director whose works span over Punjabi and Hindi film industry. His single Phulkari broke many records in the Punjabi music industry. Apart from new single, Gippy will soon be making his directorial debut, titled Dare and Lovely, according to reports Pink star Taapsee Pannu will star in this Punjabi rom-com. Taapsee plays a girl who is searching for her roots. The actress reportedly loved the script and has given her nod for the role but is yet to sign the project officially. The multi-talented Gippy impressed the audience with his acting in "Carry On Jatta 2", “Lucknow Central”, and “Second Hand Husband”. He is currently shooting for a new film in Canada.